Viewing submissions to the server in the field. CC-BY David Luswata. 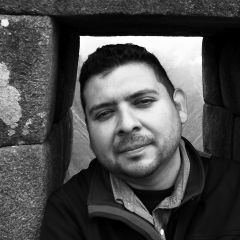 The Missing Maps project, an open, collaborative project, is working to fill in this “missing” information. 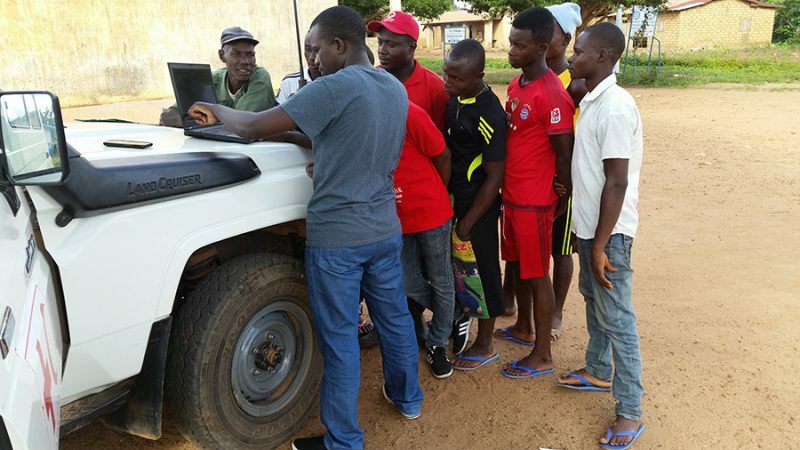 Combining the work of volunteers contributing remotely, on-the-ground community leaders, and humanitarian organizations, the project works hand-in-hand with the OpenStreetMaps platform to collect data in a free and open manner. Volunteers around the world participate by reviewing satellite imagery to identify and map buildings, roads, and other essential landmarks. They can do so in their own free time or as part of an organized “map-a-thon”. This initial information can then be verified by groups on the ground in close contact with community leaders. 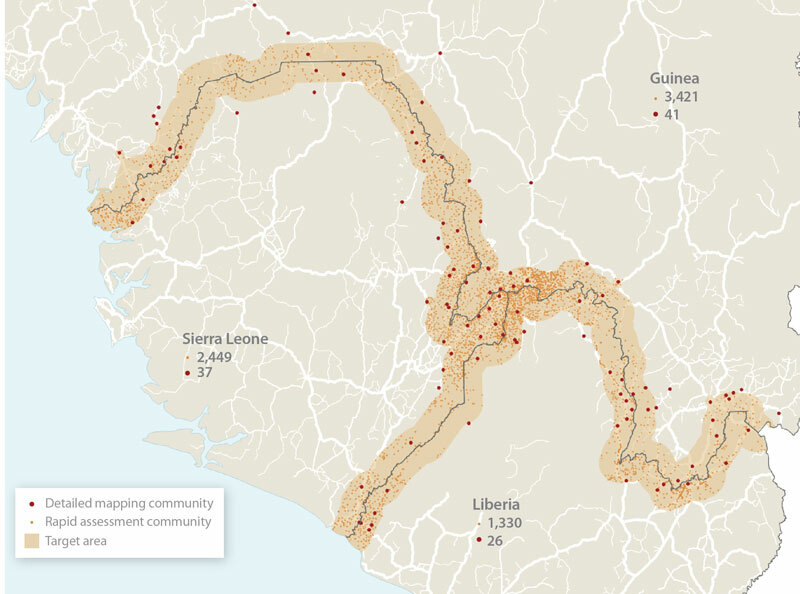 One of the largest Missing Maps projects took place in Sierra Leone, Liberia, and Guinea to map more than 7,000 communities that were severely affected by the recent Ebola epidemic. Following this mapping work, humanitarian organizations now have access to accurate names and locations for these villages, which can play a major role in any future crisis response. Project area and communities visited for rapid assessment and detailed mapping. CC-BY American Red Cross.